A master’s of business administration (MBA) degree is a comprehensive course of study designed to educate students in economics, marketing, accounting and human resources. 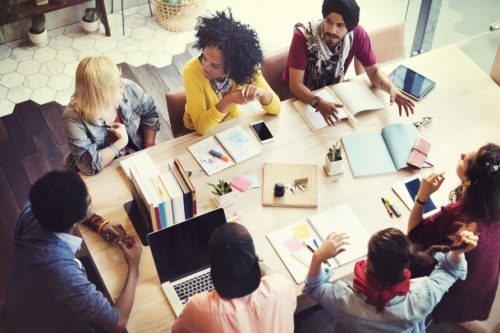 Most MBA programs place an emphasis on training students for managerial roles and teach vital communication, interpersonal, management and teamwork skills. A number of students are returning to higher education after some time away, and many have already built successful careers. The purpose of an MBA, for a majority of students, is to improve their employability and advance their careers. Given that typical MBA students will have to balance professional and personal commitments alongside their academic work, an increasing number of leading institutions, such as Villanova University, are offering students the opportunity to either study online, enroll part-time or both. What makes a successful marketing manager? MBA graduates are well-suited for marketing careers. Marketing leads the creation and promotion of brands and products to consumers. The practice is multifaceted, and a wide array of jobs and careers can be found in across industries. Marketing companies employ individuals in areas as diverse as graphic design, market research, data analytics, content writing, sales, public relations, and advertising. Managers oversee a team or a department of professionals. They are responsible for ensuring that all facets of the marketing process run smoothly, from budgets to the development of promotional materials and advertising strategies. Given that marketing manager roles often necessitate experience and a higher level of education, MBA graduates find that they are well suited for this career path. The following skills and traits are taught extensively during MBA programs and are key to success in a marketing manager role. Technology plays a significant role in the marketing industry. From graphic design platforms to social media channels, marketing takes place in the digital sphere. Consequently, truly adept marketing managers will have a nuanced understanding of an array of programs, as well as the latest digital trends and developments, according to popular job site Recruiter. Such knowledge is cultivated and enhanced while studying for an MBA degree – many programs will introduce students to new platforms and expect them to master them. This is the age of big data. Marketing professionals that can scrutinize data, look for trends and draw conclusions are in particularly high demand across many industries. For example, a marketing firm may conduct market research pertaining to customer demand for a certain product. Strong marketing managers will be able to read the data and propose solutions and strategies for improvement. MBA graduates typically have extensive experience with data analytics, with many courses incorporating this now-essential component of business practice into their curriculum. Marketing as a practice is, in essence, about communication. Professionals in this industry will need to reach an audience to convey a message, brand or idea. Consequently, the ability to communicate concepts in a clear, concise and effective manner is essential for a managerial role. Marketing managers will need to communicate well not only with an audience, and also their colleagues from a wide array of departments. In any given day a marketing manager may meet with members of the finance department, the sales team, the editorial desk and more. Given that MBA programs are designed to prepare individuals for managerial careers, institutions train students in how to become better communicators. This training is key to success in a marketing manager role. MBA students are trained to look at the big picture of business practice. They are schooled in the art of management, which involves identifying what is not working, and developing strategies for improvement. It is an essential trait in a marketing manager role. Skilled professionals in the marketing industry will be able to identify and remedy issues, as well as have a keen sense of foresight. The best managers will be able to envision how a brand will develop and expand in the future, and have a sense of what changes could be implemented to make a positive difference in growth and customer engagement. One of the most important aspects of any managerial role is strong organization. Managers, and marketing managers in particular, often have to juggle and stay on top of multiple projects at once. In the marketing industry, professionals will often be faced with numerous deadlines, meetings and projects. Adept marketing managers will have impeccable organization skills. MBA graduates tend to excel in this area because strong organization, alongside communication, are two skills sets that are taught extensively throughout a course of study.